Canoeing in Belize: Summer's Here and the Time is Right! OK, summer’s not officially here yet, but it’s always time for canoeing at Belize’s Chaa Creek. And why not? With the pristine Macal River gently flowing past the front door and a fleet of well-maintained canoes at your disposal, canoeing is one of the activities at Chaa Creek that consistently delights guests of all ages. Even people who have never been in a canoe before discover just how enjoyable this age-old pastime is. 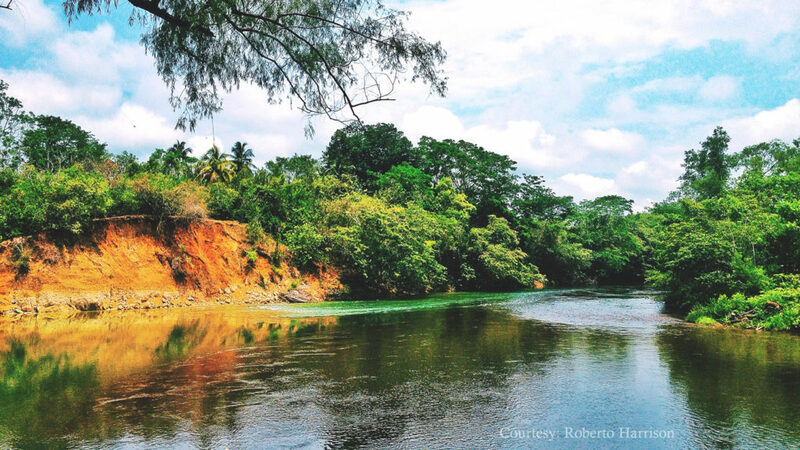 The Macal River was one of the major aquatic highways of the ancient Maya, passing through the rich agricultural and trade centres, linking ancient cities and ceremonial centres via the various tributaries flowing into it, and, as it joins the old Belize River, still takes people and goods down to the Caribbean Sea, joining up with the Maya sea trade routes that extended all the way from Mexico to Panama and perhaps beyond. But canoeing the tranquil Macal is more than just participating in a living link to the past. 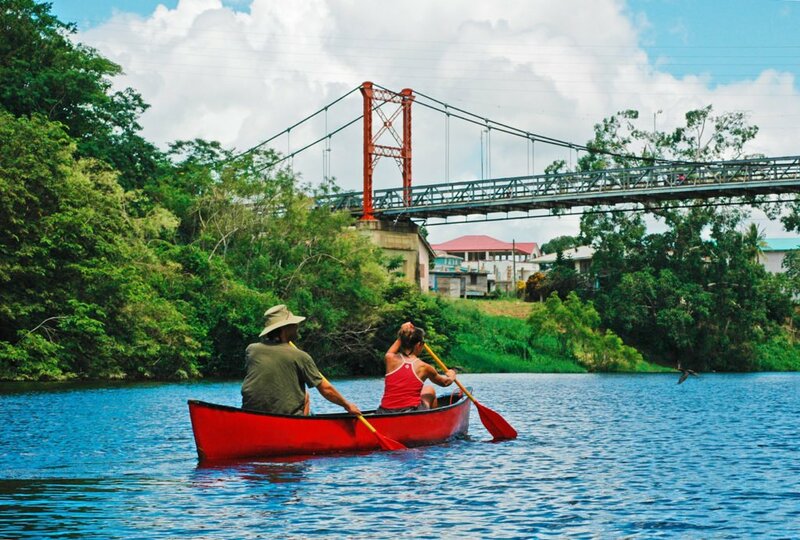 It’s a great daytrip adventure in its own right, allowing people to explore the rainforest and wildlife lining the banks as they cruise downstream to San Ignacio town. The riverbanks are full of wildlife. You’ll see a plethora of birds as well an assortment of jungle dwellers sunning on the rocks. Keep an eye open for iguanas of all sizes, especially the big orange mature garobos, as they’re called in Creole. They were also commonly known as bamboo chicken, with both their meat and eggs gracing many a table not so long ago. You can also drop into rock outcrops full of sparrows, pull up on beaches, and wave to locals coming down for a bit of swimming, fishing, or clothes washing. Stopping at Cristo Rey village gives guests a taste of rural Belizean living and is handy for refreshments, snacks or lunch. It will seem like all too soon when you come round a bend and see the Hawksworth Bridge, another piece of history brought over from Africa by the British to replace the old ferry and boat system that used to connect San Ignacio to Belize City. Then it’s pleasant to stretch the legs for a walk around town, perhaps something to eat at the very treat-worthy Guava Limb restaurant, or even a hike up to the ancient Maya site of Cahal Pech, once home to the local royal elite. This is another well-maintained archaeological wonder with an informative visitor’s centre. You can even have a lie-down on one of the ancient royal stone beds. And, of course, the Chaa Creek vehicle will be there to transport you and your canoe back to the resort to relax with a swim in the pool, enjoy some hammock time or a cool drink in the Jungle Lounge where you can reminisce about what a lovely day it’s been and go over all those great images on your camera. It won’t feel like it, but you’ll have earned that delicious dinner and a very good night’s sleep surrounded by the gentle sounds of the jungle you’re now more familiar with. So when at Chaa Creek definitely give canoeing a go – Don’t worry if you’re a novice – the naturalist guides have taught many a new paddler basic canoe handling and it’s all a piece of cake, and a rather delightful one at that. Enjoyed this blog? Keep up with us on Facebook or Twitter and receive more Travel Tips for Belize! The Things We Live For – We Love What We Do! 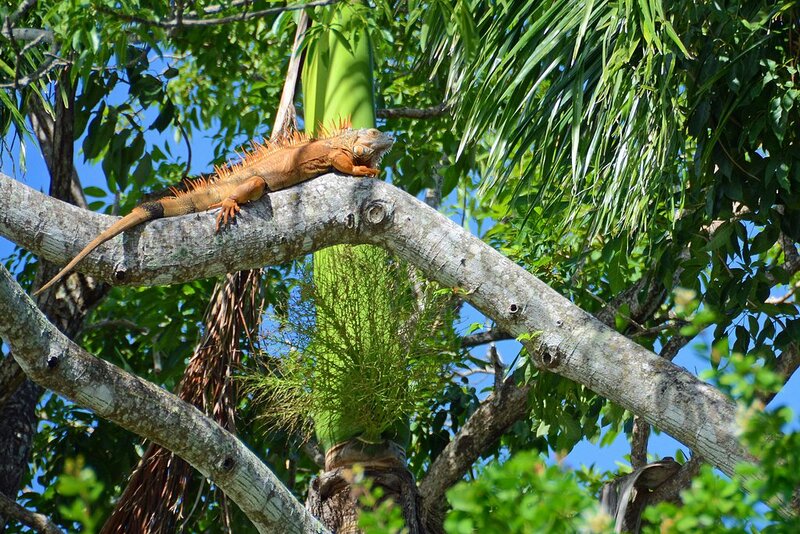 Lizards of Belize – What makes the Belizean Iguana Incredible!